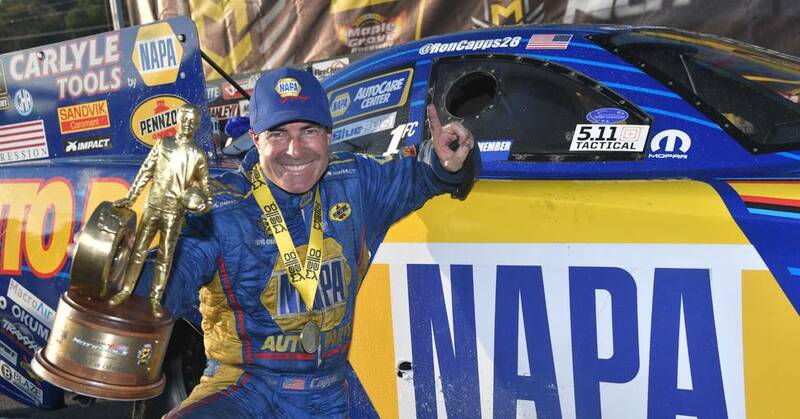 The NAPA AUTO PARTS Dodge Charger R/T Funny Car team with crew chief Rahn Tobler helped driver Ron Capps win his first title in 22 years at Maple Grove Raceway near Reading, Pa., and retake the Mello Yello Drag Racing Series championship points lead that he relinquished a week ago in the opening race of the Countdown to the Championship playoff. “Every time I’ve driven through the gate here, I say ‘I love you, I love you, I love you Maple Grove. 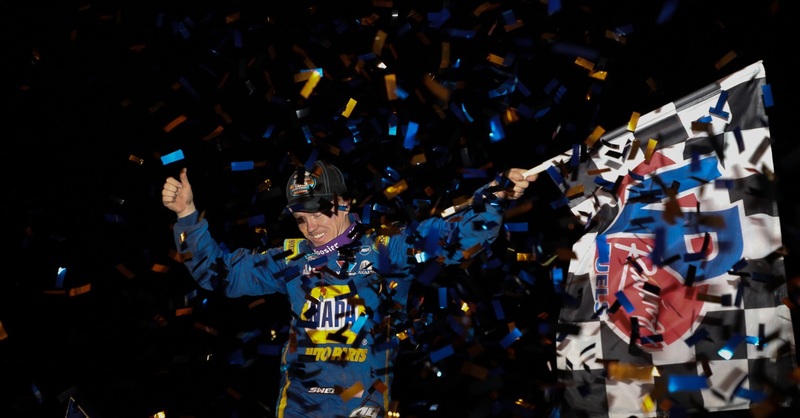 Give me some love back.’ I’ve always left here a little short,” said Capps, who won his career-best seventh Mello Yello title this year in 20 races. 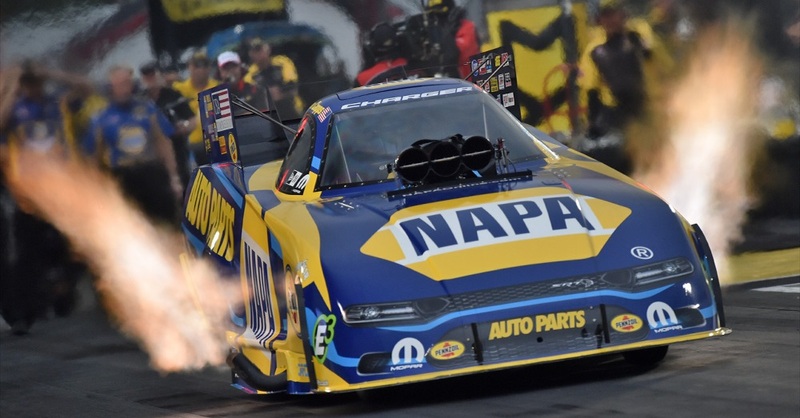 Capps raced in the final round for the second straight year at Maple Grove and fourth time in his career en route to the 57th NHRA title of his career. 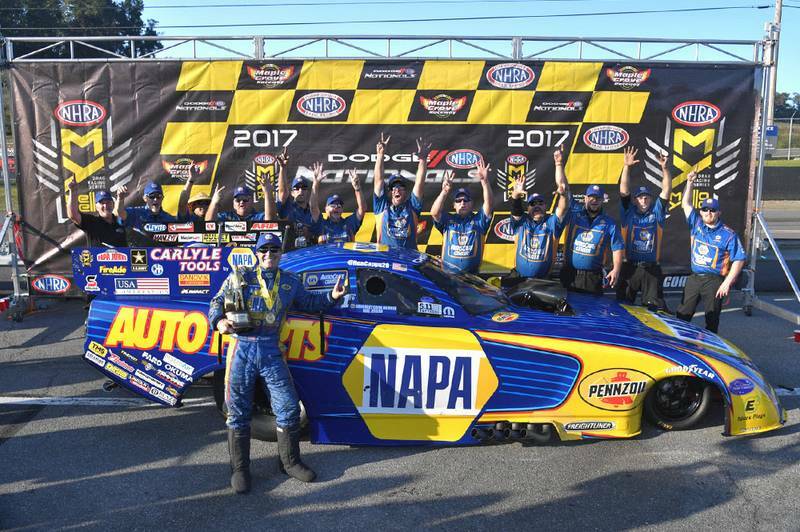 In the opening round, he lost traction late in the run against Jim Campbell but recovered just enough to win with a time of 4.166 seconds to Campbell’s 4.213. 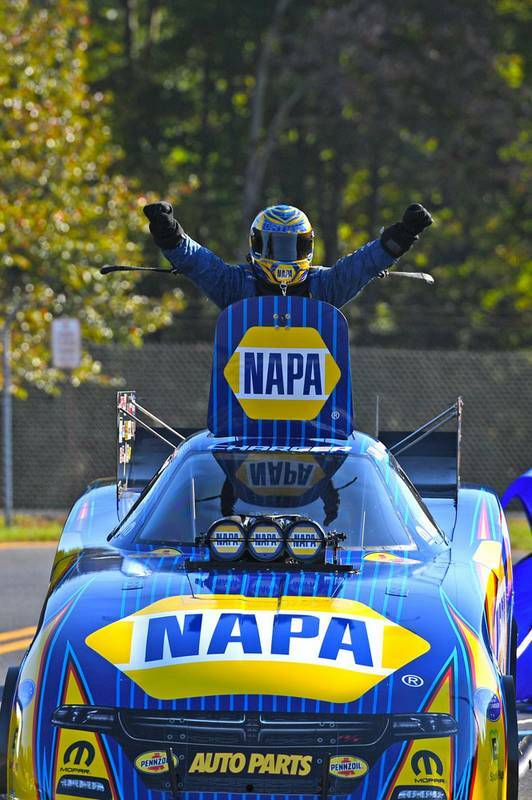 In the next round, Capps made a good run and eliminated DSR teammate Tommy Johnson Jr. 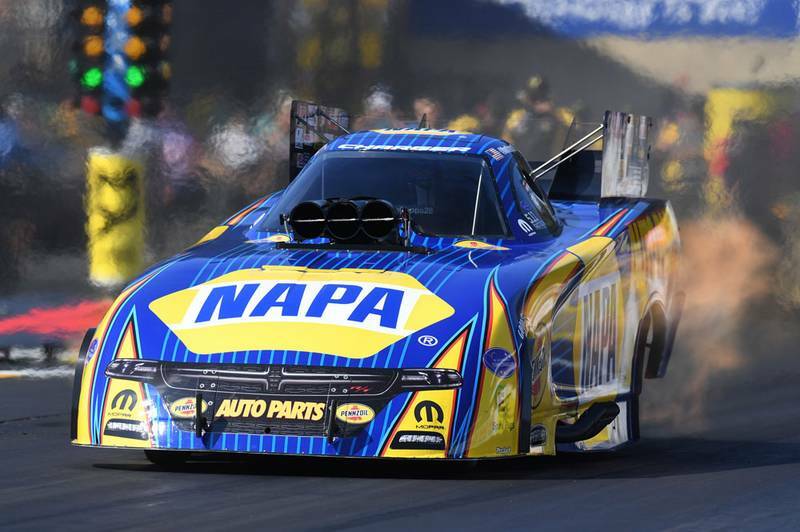 In the semifinals, Capps, who qualified third, faced No. 2 Matt Hagan, another teammate, and held a slight lead when Hagan’s parachutes prematurely deployed that sealed the win for Capps. In the final. 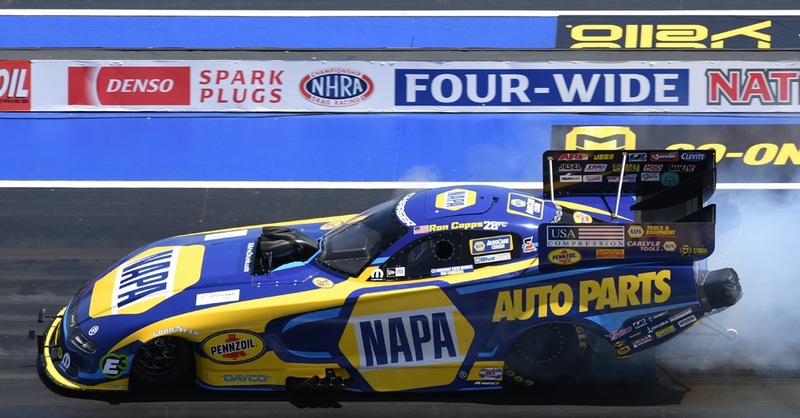 Capps held a lead over Courtney Force but near the finish line her parachutes deployed early. Capps’ 3.968 (326.48) topped her 3.993 (311.70). 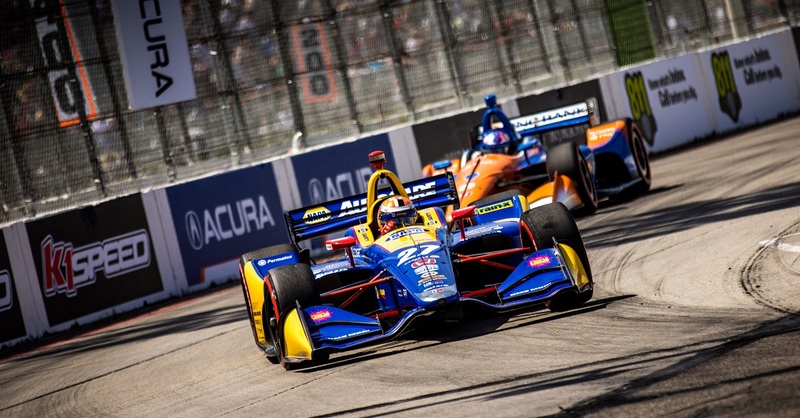 The third of six Countdown playoff events begins Friday at Gateway Motorsports Park near St. Louis.